The black haired girl knew she had to find a way to reach the end of the room sooner as the area was being destroyed by the force from the outside. Well that might be one thing, but perhaps trying to beat the wraith could be a second option as well. Although Noir knew it would be very difficult especially when the ice lady was able to deliver strong attacks four times in a row towards each of them. “Don't kill them? I know, i am not stupid. Besides…” Rion chuckled, happy to finally able to take control again. She would look back towards the ice lady to see what she was really like, but the timing was bad because the ice creature was sending some kisses and Rion knew it wasn't a gentle and warm kisses. As she gripped her staff of storm tight, pointing it down and then lifting it up, Rion would merrily chant, “Parete Lavica~.” before adding more magoi to scale it three times, to basically let the lava clash with all the snowballs as two rows of four lava walls emerge from the ground blocking the path of the kisses. “Besides… she looks pitiful…” Rion chuckled to herself before continuing to run, couldn’t wait for what will happen next. Meanwhile, the older magician was holding the scarred side of her face as she remembered about her son’s death. “Akatetsu…” But the liger that she was mounting was affected with the sadness as well as he remembered about how his mother died… brutally dead because of cruel humans. There was a soft growl coming from his mouth as he continued to run towards the end of the room. Description: Using lava magic, Noir produce lava from her staff/wand to shape like a quarter sphere. The sphere size would be up to 1m - 3m depends on what the user want and it will protect anyone who is behind the sphere from B-tier attack. Scaling this ability will make Noir available to add more layers in front of the sphere. If the enemy touches the wall, it will sets them on fire at points of contact burning them for D-tier damage once per post of three posts unless the flames are extinguished. The red head adventurer shouts with triumph as he successfully deflected a icicle. He had never successfully parried an attack before. He had tried and tried over and over in training any failed every time. However as soon as had his moment of triumph he began to feel am overwhelming sadness. He himself hasn't had enough experience in the world to have much sadness besides when he lost his parents, however he promised he would never let thier deaths affect him. He could feel the sadness from those who lost thier lives in this room as well but he must let that affect him, not now. He would tell and slap his face with both hands, "huah!!!!" he would shout before looking at no it's group seeing them being affected worse then he was. He would inhale and shout at them as well, "Snap out of it ya three! You all act like this is a big deal, overcome this and surpass your limits!" he says in his normal foolish member before seeing the snowballs coming to them. Not seeing Noir use another spell he would jump off the orb soaring through the air before landing and running a bit ahead of the other two singing his own song of triumph. The wraith would let out a sigh once again as her attacks had failed to hit the group. It was bothersome to the spirit. Her heavy heart already carried so many woes. Her sadness, her cold power began to swell as they all raced through the room. She was going to come after them ferociously. As her blue face appeared in the steam from the colliding snow and lava she stared at them. The cold was coming to grasp them. Unlucky for them, the wraith wasn't the only undead that wanted the dungeon divers in their group. Ten icy corpses stood across from them, they were 20m away at the moment. They all carried swords so ranged attacks would be hard. At least that's how it seemed, they all raised their swords for a salute, for a Dance of Ice. As the wisps of magic shot forth from their blades into the ceiling an icy assault followed. The spears of ice would violently crash into the ground, shattering on impact and impaling any unlucky enough to fall under them. To make matters worse the cold was now coming for them. They could see the Cruel's Winter's Night moving. A flurry of snow would collapse in on them as she cast her Sweeping Mist. It rushed in, a rolling cloud of cold that would envelop everything before the Wraith. They would need some sort of defense against the attack. There was also the attack from the above, and the 10 undead that they would need to kill before they got too close. It was unlikely they were going to get a break from all of the excitement anytime soon. The sadness was beckoning even in the danger before them. It was calling out to them, speaking, There was something that wanted to know their feelings, it was looking for their strifes. It wasn't quite obvious at first. It was just a thought, however soon it would ring throughout their mins. "What worries and brings you woe, losing to yourself or a foe, But what of your failures do you know, or wish to own?" the voice spoke softly but with a power. It was an overwhelming moment, so much was coming towards them so fast. It was uncertain if there would be more to come in the room as well. How would they choose to face the icy onslaughts before them? Even their new dungeon partner was waiting to cast his magic. They would need to act fast, for once the ice had them in it's grips it would be over for them. Dm notes: 150m left, Icy Corpses 10m infront using Dance of Ice, collapsing massive snow cloud coming for all from sweeping mist. Wraith same distance behind, undead 20m ahead. Description: A woman made of ice able to fly around through the air like tornado winds, lifting things as heavy as a an adult immuchak male when she gets within touching distance. Does A-tier damage when she touches someone in the form of freezing damage. A Cold Winters night: Activates upon entering battle, a massive wall of frozen mist 100m wide, 100m long and 40m tall follows her and does A-tier damage to whatever it touches, turning it into ice. Abilities can be cast from the cloud, stays with her for up to 300m of movement. Winter Kiss: Shoots a 4m in diameter ball of snow which travels 20m exploding into a 2m diameter freezing the targets entire body for three posts. Requires A-tier strength to break free. Sweeping Mist The ice wraith creates an icy mist from her arms. SHe then claps them together, freezing whatever they touch, once clapped an ice cloud double the length of the source and 1m wide for every meter doing A-tier damage in the force of small blades of ice. Icicle Shot: The Ice Wraith shoots forth an icicle which does A-tier damage, traveling up to 40m away the icicle is 3m long and 1m in diameter at the base, being 1cm wide at the point. Flash Freeze Freedom: The Ice wraith turns into a frozen fog, flowing into the body of someone with at least B-tier damage and up to 40m away possessing their body and doing A-tier damage to them in the process. Description: Icy soldiers wearing old armor, seemingly from a lost an ancient land these undead warriors carry a long sword 67cm long that does A-tier damage. Dance of Ice: Requires 2 corpses or more, they point their swords into the ceiling of the midway using a wisp of ice 2m long which shoots from their bodies into their blades. The wisps cause the ceiling to drop icicles from it's entirety stretching 40m forward. Anything in the filed takes A-tier damage from raining icicles. Icy Scream: The corpse screams creating an icy cone 3m long and 3m wide at it's longest doing freezing A-tier damage to all within it's reaches. Call to arms: The Icy Corpse charges forward exploding out 2m into an ice cloud which does A-tier damage. You have 48 hours to post. After 48 hou an s any failure to post will result in automatic proxy post. Sesshomaru saw the ice zombies ahead of them and the wraith behind them with a freezing cloud closing in and for once he didn't know what to do. For once he felt helpless and he didn't like it at all. This whole du geon he had been relying on noir and her magic, even the magic of a stranger while he just sat by and watched helpless and powerless. What was he doing wrong? He is a fana, his strength was superior and he was a great as he there so what do these people have that he doesn't, what makes all of these people in this dungeon so much stronger then him? If he ever wants to discover his destiny then this would be something he have to answer. He would have to get stronger if he ever wants to become the great adventurer he pretends to be. To be honest, up to this point there has been nothing great or special about Sesshomaru, he hasn't doesn anything special besides being sent to prison for thinking he could beat trained guards. He thought his speed and strength were the best yet here he was unable to defeat 2 monsters now that he has ran into and unable to out run them. What was there that he could do. He shakes his head not wanting to think about it anymore because for once in his life he was afraid to die, he looks at noir and the magic man with a panicked look on his face, "Please tell me you guys have some way to get out of this mess" he would say trying to calm down feeling as weak as an infant when he heard a voice asking a question and tries to answer it the best be can as he keeps with the rest of his group. "What worries me the most is being weak, in not being strong enough to be as amazing as I act. I'm not strong tho and I want to be! he would say ou loud in his moment of clarity about himself. Rion would chuckle to herself when her lava managed to stop the snowballs, but soon her smile turned into a frown when she saw the wraith wouldn't be alone anymore as these...icy undeads appeared in the area, literally in front of them as if they wanted to block their way. A sigh would escape from her lips before she cursed the situation. 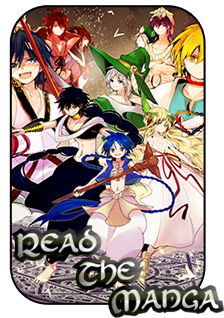 "Great, we are f--" Her words was cut by the red haired Fanalis' words and the young magician would raise her eyebrow. His words implied a hopelessness, but against what...? Was it against this mess? Well, those mess, she meant. They should keep running but perhaps it wouldn't be enough to stop anything that those creatures will do to them, they kept firing powerful attacks towards them and if they tried to ignore it in order to keep running, they would be dead before they reached their destination. Well, running was impossible as well... Rion forgot the fact that their path were blocked with the wraith coming from behind and those undead blocking them from their front, casting something towards the ceiling and she had a bad feeling about it. "Hey, wizard~" Rion would call the Emile, "Help us to deal with whatever the undeads are doing! I'll handle the wraith." It was hell, for sure... a freezing hell. She didn't know if they can survive the attacks, she couldn't focus on other thing if she wanted to deal with what the wraith just did. So she would bet and she was hoping that Emile could do something, he made it out this far alone so he must be a bearer of something great. "Sfera Oscura" Rion would chant as she draw circle with her staff before firing it to the sweeping mist, hoping it would stop the attack or at least blow it off course from the explosive blast and scaled it once to double the shots. This second shots will be directed towards the ice wraith and hopefully the effect of her magic could damage her, or a least send her backwards for several meters from the blast. "...her biggest failure would be not strong enough to protect her comrades and loved ones...those poor dead people..." Rion chuckled as she answered the wraith's question on Noir's behalf, "For some reason, most of the people that she knew will always be dead sooner or later. And she blamed herself for not having enough power because she couldn't stop it. Although... the only failure I have is not taking this body for myself fully yet" The magician grinned playfully as she said that. While his allies would meet the snow with explosive force the magician had his own way of doing things. He was going to make sure that this path, that these enemies would be sealed off. Sure his allies could fend them off, and he'd be able to meet the attack but the chase was going to continue. He was going to have to put in all of his magoi in order to keep going. He tried his best to keep a stoic face, for a moment however his allies would see through his shell a smirk, it was uncertain whether it was a nervous one or him being cocky. No matter what the magician's mood they would seem him come free from Mercury as he flew, the orb stayed around him. With a face full of doubt but a mind of certainty, the magician began to rapid fire of names. They were the names of his spells. "Plantery Creation: Earth, Mars, Jupiter, Venus, Neptune, Uranus, Pluto and Saturn!" As he named of his spells orbs began to shape and form around him. There 9 floating orbs in total, 9 of them under his control. As the ice was soon to collapse in on them he would fire off two more spells in an instant. His commands were quick and concise, sealing, but most importantly saving their fate. 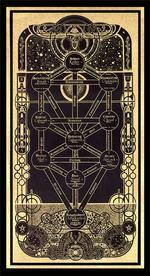 "Planetary Conductor: Sol and Planetary Confinement." As the ice dropped on them the magician's book would spark, his entire body engulfed in flame. Almost like a radiant protector. He commanded and guided the planets, They all grouped together, the intense heat from him melting the rock in them, and the ice above. In the blink of an eye the group of constructs would rush forward into the Ice Wraith, hitting the corpses even as they flew by. The orbs would push, grinding against the structure until it mixed in with the rubble and the walls. It almost seemed massive, a black mass of burnt rock essentially protecting them. Unfortunately for them, Emile had used up almost all of his magoi in order to protect them. The magician who was radiant just a second ago now sat, burnt out in front of a burnt mess. Crimson pools formed around him as blood started to pour out, the lack of magoi was causing him to bleed out it seemed. It was not the end of his fate though, they had made it with only 100m left in the room. With the rest of their challenge was an approaching noise. The noise of metal scraping against the frozen floor. DM notes: Emile is dying, giving you a chance to possibly continue ahead, if you wish to stay the undertaker will appear, if not you will be able to most past him and continue on. Players have 48 hours to respond to the proxy post, after 48 hours if there has not been a post then there will be an automatic proxy post in order to continue the thread. Sesshomaru looked in amazement at the massive spellwork that the magic man was doing. It even smacked him out of his panic session for a few moments. He couldn't believe how amazing magic could be. He knew thay Fanalis could not perform thier own magic but a small part of him was now beginning to wish he could use magic, all he had was a magic carpet and a ring which isn't bad, but they are nothing compared to true magical spells. However seeing this did remind him of how weak he was, and how he had to get stronger. He watches as magic man gets burned up and starts leaving pools of blood. He runs to his side but stops when be hears metal against the ground, it sounded like someone or something was coming toward them. He would grab his bisento once more and look ahead towards the source of the noise wondering if it was head8ng thier way. He talks to noir while looking ahead, "are you able to heal Emile again? I will protect you magical lot while you do your stuff." he would say smiling but his voice now lack8ng confidence that it once had. "Don't tell me what to do, Fanalis." Rion would speak back to Sesshomaru with a playful smile, as she flew over towards the injured magician. She would then lift her hand and feed some magoi into her healing bracelet as she stared at the dying magician. "Healing him would be what Noir wanted to do anyways..." She murmured although it would be audible for the redhead to hear and she would let the pulse of purple light to engulf the dying magician, hoping she could heal him. It was not because she wanted to heal Emile, but she knew if she let him die, then Noir might become more unstable and it might made Rion got lesser time to have fun while she was in control of the body. The black haired magician would let out a sigh, she thought that the male magician wouldn't be in this state if he didn't try to use his last spell... The man and her could just combine their skill to attack the ice wraith and it might be working. His skills would be very helpful as they went deeper into the dungeon and if he was dying now... it would be a waste. "That is why you ask for help, my good sir... Although we should thank you for saving us from the ice, I believe." Another playful smile would appear on Rion's face, and it was still carved there when the sound of metal scrapping the frozen door. "I wonder what will come this time..." Rion chuckled as she stood up, her staff ready on her hand and she would be waiting for anything that would be appearing soon. Haku and Shousui would be on guard for the approaching noise as well. 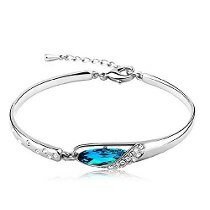 Appearance: The delicate silver bracelet is approximately 15 cm around and contains a blue gem. The magic circle for the item can be found hidden on the inside of the silver surface. Heal All – Feeding magoi into the item causes a pulse of purple light to spread from the user in a 3m sphere. Anyone inside the sphere experiences B-tier healing. 10 magoi to activate | 5 magoi to sustain. The healing magic spread over Emile and the horrible nature of his injury slowly healed a bit. The charred and cracked skin gradually seemed to become fleshy again. But the magic was not enough to fully regenerate the damage that had been caused. Meanwhile, the dragging sound of a shovel echoed out as a young man suddenly approached the group. I see your friend there is suffering quite a bit." It was unclear where the man had come from. It was as if he had materialized from the echoes. The Undertaker looked to be enjoying himself with a jovial smile and acted eager to poke his nose into their business. There were coffins being dragged behind him and a shovel on his back. More metal scraping against ice sounded as he came within 5m of the group only to stop and present to them an offer. "I see some potential in one among you, so I've come to offer my...services." The strange man then pointed at Emile's burned out form and grinned. "I can heal him and restore your bodies to peak condition. All you have to do, is play my game." The shovel resting on the undertaker's shoulder was hefted off to tap one of the coffins. "It's simple. Just take a quick nap in one of my coffins and I'll drag you to the gate. You'll have plenty of time to recover your energy and consider the road ahead." The man's words were like that of a snake oil salesman, but there was no spite or ill will behind his tone. "You can always choose NOT to play my game. I won't force you, but if you don't take my help you may end up asking me for a coffin for...other reasons. On the other hand, if you pass this game of mine, I guarantee its possible to save your friend. Not only that, I'll get you to the gate and you will be best prepared to handle entering the Necropolis." DM notes: Emille is going to die within 3 posts unless one person chooses to play, better chances with more people. There is nothing to lose, only the chance to win. 150m away at Undertaker, 100m away if you keep going. Damage Required to Defeat: ? Description: A barely middle-aged man with long hair. Dressing in dirty garb he carries a shovel. He is an oddity, but it seems he can be trusted. Ways to your woes: The Undertaker creates a coffin for each player removing all foreign entities from the body but not damage. Casket Carrying: The Undertaker can control and move the coffins at high speeds, making them a blur. Rest and Restore: Restores all magoi and stamina for target players, also heals all wounds. Players have 48 hours to respond to proxy, after 48 hours if they have not posted there will be a proxy autopost continuing the thread for those who have posted. The amazing warrior supreme relaxed a bit as he saw it was a human, or he thinks he is a human, he looks a bit weird to the warrior. He smiles at the man hearing that he saw potential in one of them. He had no idea what that meant, for he did not know of the true reasons of the dungeon. He looks back at magic man not sure how long he would last, he had to be healed and quick. That and he enjoyed games and liked the idea of what kind of game he could play in a coffin. He looks at the undertaker and nods. "The magic man needs to be healed so i will play the game so he can be saved. What about you two?" he would ask looling at noir and shousui eventually getting in the coffin. Rion tilted her head when she saw a strange man entering the area, she didn't know if he was another creature just like the wraith but she was sure she didn't like him... Well, that was just a personal preference and the reason why Rion thought like that was because of his....vibe and of course the coffin that he brought with him. A smirk was carved on Rion's face as she heard that the strange man was challenging the group to play a game,something that Rion would love to get her hands on. It was true that the healing she gave to Emile was not enough and she was planning to heal him completely later, perhaps at the next area. Although... It was just too good to be true that the strange man will heal Emile completely if one of them get into the coffin as well as giving the other benefits that he stated before. A sigh would escape Rion's lips as she felt the urge to save the male magician, something that Noir was feeling at the moment, a strong feeling that felt almost as an annoying distraction for the girl. But to make Noir stop feeling like that and in order to control this body longer, Rion knew she should follow the feeling and there was nothing to lose as well since she wanted to play the game since the beginning. Just as she wanted to say that she agreed to play, Sesshomaru said it first that he wanted to get in as well, which Rion thought was a great decision because it might increase their chances of winning. "I would play your game, the more the merrier." Rion said with a sultry smile and would wait for what will happen after this. "I would pass." Shousui would answer Sessho's questions and would just observe the situation for now. The Undertaker smiled a toothy grin as it became clear that all three of them would be playing his game. Rubbing his hands in excitement, the undertaker waited for each of them to take their places in a coffin. Despite their purpose in housing the cold and lifeless dead, each coffin was warm and inviting once inside. Sleep would descend swiftly unto each of them, its embrace pulling the dungeon challengers deep down into the core of their own minds. The Undertaker closed each coffin behind them and then cheerfully hefted the chains used to drag them as he started to head for the gate. "Come on, wake up lil' sis! If you sleep through breakfast, mom won't be happy. The sound of a youth would give Noir and Rion cause to open their eyes. The two were separate, but one. They shared a body as the young Tenma stood over them. The boy hardly resembled the man he'd become, his form taken from the memories Noir herself could no longer recall on her own. Tenma was visibly annoyed that his younger sibling was sleeping in, but the smile on his face was full of familial love as he attempted to wake her for breakfast. "Good, you're finally up. Hurry down, else I'll be in trouble too." The young Tenma warned before turning to exit the room. It was a simple room, but there was an air of familiarity to it as though it were Noir's own. Books were strewn about recklessly in large stacks and the scent of flowers gently covered the air. Once the magician decided to exit the room, she would find a staircase nearby leading down to the ground floor of a rather large and well maintained house. Downstairs, a dining area was lit up with sunlight pouring in through the windows illuminating the picture of a happy family. Tenma was just taking his seat, the boy looking happy and eager to dig into the feast before him. At the head of the table was a stern and stoic man scribbling away on a scroll with one hand as he nibbled at a loaf of bread in the other. A beautiful woman was using a wand to magically guide the last few platters of food to the table. "Noir, you've finally come down!" 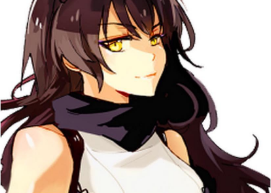 Upon noticing Rion and Noir, the woman's face lit up with joy as she gestured for her to join them. The man looked up from his writings and beamed a prideful smile her way. "Your mother made your favorite, I'm surprised you didn't charge down here at full speed, hahaha." After laughing briefly he returned to his work, now looking a bit more friendly as a lingering smile remained on his face. The beautiful woman took a seat at the other end of the table and then looked to Noir expectant for her to come take her place in the remaining seat. The resemblance these adults had to the young Tenma and Noir was undeniable. The house they were in had the genuine air of home. It was as if the horrible past Noir had suffered was all just a bad dream. Instead, her family had never been broken apart and was happily living out their lives without worry or concern. The beating heat of the sun hammered down onto Sessho as a vast wilderness stretched out before him. An uncontrollable urge to wander would overcome him, forcing his legs into action. Each step seemed to carry him thousands of miles, the scenery and environment shifting around him in response. It was like being some sort of omniscient god who could traverse space and time with ease. At first, Sessho would simply move through the world unfettered. Plains, jungles, wastelands, and tundras. They all flew past him one by one. But as the fanalis traveled on, he would find that there was more than just wilderness before him. The steps started to carry him past scenes of his own life. People he had met, creatures he had seen, they were displayed like phantoms or visions seemingly unaware of his presence. The dreamscape would show Sessho these things with a purpose. All of them had one thing in common. They all had something to regret about them, something left unfinished or unsaid. Jobs and tasks he never completed were shown to him, goals left unfulfilled and incomplete. They would populate his view until there was little left to be seen other than a catalog of possibilities he had yet to see through to their end. Initially his steps were liberating as they let him fly across the world, but as more and more regrets and unfinished business appeared, now those steps felt heavy and burdensome. As if moving through sludge, Sessho would find himself weighed down by these tiny impurities of resolution in his past in the form of a physical pressure that burdened his steps and stole away the power to traverse great distances with such ease. [DM Notes: Noir and Rion are currently in a body of their younger self. Her memories aren't restored, but the vision is using those locked memories as a basis for the dream. Players have 48 hours to respond, after 48 hours there will be an automatic proxy post. It was a strange feeling for both Noir and Rion as both of them climbed on the coffin, it was far from the impression that they got from a coffin. Usually a coffin would feel cold as well as unforgiving as death was always be put inside, well not always, but mostly a coffin would be used to store death body. They closed their eyes slowly though, embracing the warmness into their body as they quickly fell into slumber. “Ah… is that Caine…?” A chuckle would be heard inside Noir’s mind as Rion said it. It seemed like the control was given back to Noir automatically when both of them lost consciousness, although it was not proven yet. “Caine…” Noir murmured softly, recalling that name as her late brother’s name. Then she remembered another thing as well… and it was the fact that her family was massacred a long time ago. “Is this real…?” She looked around the room and could tell that this was the kind of room she would have with lots of books piling up all over the floor. “It feels like my body is smaller…or the stairs are just high…” She made a mental comment when she climbed downstairs that felt a little bit higher for her body size before heading towards the dining area. There was a woman and a man inside, along with the boy who woke her up earlier. But what surprised her was not the fact that they were there, but more because of the fact that they were there, alive. Noir could tell that they were her family based from the family painting she had seen before, although she wondered why… even after seeing this supposed-to-be happy family reunion, there was nothing, not a single memories of the past coming back to her. It made her felt like a stranger again and Noir was not sure what to do with what she felt. The man’s words about the woman was making Noir’s favorite piqued up her interest… “My favorite?” She would ask back, wondering what her favorite food was. As far as she knew, no one knew her favorite food as she never said it to anyone but… they might know... but… would they really know? What if they guessed it right and what if they guessed it wrong… she didn’t know what she would do after that. It was confusing, it made her feel dizzy and it felt suffocating. If this was really her home, her family, then how come she couldn’t remember anything even though she had forced herself mentally to remember? The entire family was seated at last, a variety of breakfast staples before them prepared carefully and with love. "How are you feeling this morning?" Noir's mother asked, but before the subject of her question could reply, Caine jumped in and looked up from his plate, "I bet she's feeling great. She did become one of the youngest 1st Kodor in history yesterday after all~" The brother's tone was slightly teasing, but when he glanced towards his sister the pride in his smile could clearly be seen and felt. Noir's father looked up from his work again and nodded approvingly towards the pride and star of their family. "That reminds me..." The man stood up from his seat and walked over to Noir producing a golden medal from his sleeve. "The academy dropped this off for you after you'd gone to sleep. I shall bestow it to you now." The medal hung from a lavender sash which Noir's father placed around her neck. The symbol a reflection of her mastering Magnostadt's academy. "Well done, you've brought great pride and honor to our family." He returned to his seat, but instead of going back to his work he kept his gaze on Noir giving her the center of attention. Caine and Noir's mother both looked at the young girl as well, expectant for her to have some comment or statement regarding her impressive accomplishment. Meanwhile, the world outside their family home began to take a turn for the worse. Noir's family seemed not to notice as the sky went dark and a rift was torn open in the sky. The black maw oozed black hands like dripping paint that reached outward towards the ground with hungry fingers. "Well, tell us! What's it like to be one of the greatest magicians alive?" The family ignored the dark presence outside and all began to stare at Noir. None of them noticed as the door suddenly opened. There was a bright light coming from the doorway making the figure who entered visible only as a dark silhouette at first. It was a large man carrying a staff, his footsteps dragging along the ground slowly. The phantom approached Noir from behind stopping just a few feet away. The door closed and the blinding backlight faded revealing a familiar face. Yakuroro, the magician killed by Noir in Renove, stood before her. His chest bore a horrible wound, a gaping hole with dehydrated desiccated skin surrounding the injury. The dead man was frowning as he glared at the young girl and asked softly. "Do you really think you deserve to have all your dreams fulfilled? Can you afford to be sitting around here enjoying yourself?" There was no anger or resentment in his voice, only disappointment. The burdens of Noir's past actions would not accept her happy fantasy and demanded she make a choice. Sessho walked for what seemed like days. The weight was immense in the beginning. But the wanderer's tenacity paid off and as he struggled forward and the burdens gradually lightened. Eventually Sessho peeled himself free of the lingering deeds undone, the world around him tearing apart to reveal a new scene laid out before him. By the time Sessho's next step had fallen he was already free of the past and standing in a new location. A sprawling kingdom stretched out across a vast hill was standing gloriously before the fanalis youth. There were buildings all over and a grand marble staircase that led up to a magnificent palace. Gemstones and precious metals were used freely in the architecture, symbol of the city's great wealth. The great golden palace was no exception and shone brilliantly on the horizon in the afternoon sun. Another step and Sessho was before the palace gates, the doors opened up and an uncontrollable urge to step again would overcome him. 'Tap' The grand hall was traversed in a flash ending with Sessho seated upon an extravagant throne. The cushions were immensely comfortable and and the framework seemed custom sized and fitted to the wanderer's body. Its backrest rose to a domineering height and every aspect of the throne's design spoke lengths of its owner's status and wealth. Now seated, for the first time Sessho was looking back in the direction he'd come from. The open palace gates were like a window that let the young man peer through space to view everywhere he'd been. But the only thing there was the regrets from before. Closer inspection revealed that his palace and city were totally empty. Though all material attainments in the world were now his, there was nobody here the share it with him. Just faceless dolls that wandered around as servants. Suddenly the sky burst open and ominous black signs of apocalypse squirmed their way out of an unnatural void. Dark hands of destruction poured down from the hold slowly making their way towards the young man's kingdom. A voice then sounded throughout the dream. It seemed to come from everywhere and yet from inside Sessho's own head at the same time. "You are indeed true to yourself and possess strength of willpower...but are you sure that is all you need? All you are is passion and drive, but with nothing to aim for it just burns brightly for now reason. The voice was neither quiet nor loud, it bore the even tone of a judge that was weighing someone on the scales of justice. "For what purpose do you struggle? What do you seek to accomplish and what have you done so far?" The wannabe adventurer shouted in triumph whem he felt himself free of the massive weight. His determination had won over the weight of all the regrets that he had seen, all of those paths he never trodded on. Now he was at a magnificent city on a hill with a wonderful palace. Was this a place in the real world that he could discover, if so then he was gonna find it. Or was it just a vision if another possiblw future for him, he wasn't sure but he was determined ro find out. Next moment he was inside the palace sitting on the one thing he wanted most, a throne. He shrilled with excitement as he sat in the throne, his hands touching it gently, he had never felt this happy before. However his happiness didnt last as the sky seemed to tear ipen and a black thing came out of the void bringing an imen of death with it. He gets up ready to fight it and protect this kingsom that he had found. He was trying to think of how to fight it when a voice started talking all around and in him and to him. Talking about how he has willpower and passion but no aim and thwn askes him what he strugled for what he wanted to accomplish in life and what he has done. He wasnt sure how he was suppose to answer all of that but he had to. He would think for a few moments before shouting breavely at the voice, "My flame may burn for no reason but the brightest flame attracts the most people. If i have no reason for burning then i will find one. And while i am finding my reason i will use my light to gather friends like the ones in the new family i made. My light will be a beacon. Also why do i need one goal to strive for and accomplish? You wanna know what i strive for to accomplish? I seek to discover and accieve everything there is to do in this world. I want everything this world has to offer. I will discover mysteries of this world, find countries and lost kingdoms. I want to make tons of friends, become a thief for the poor, fight monster, become the strongest, maybe even necome a king one day. I dont know everything i wamt to do but i do know i want to do everything accomplish everything, not out of greed or envy but for adventure. I am not a thief or a king or anything like thay but i am also all of that because i am Sesshomaru the adventurer and i can and will do anything and everything i want to. That is my will of an adventurer." he would say with guato amd certainty. Noir’s eyes widened as she heard Caine said something about she getting the 1st Kodor title the day before and as confused as she already felt, the black haired magician asked back, “Yesterday?” She did passed her 1st Kodor test, but it was not yesterday… in her memory it was weeks ago. It felt weirder as she listened to them talking as she saw their faces which were full of proud smiles, something that was… strange to her. Yes they praised her, they complimented her, saying she brought great pride and honor but she felt nothing, she didn’t feel proud, she didn’t feel like she did it, there was nothing and it Noir wondered why she felt that way. Even when her father placed the medal around her neck, which was supposed to be a prideful moment, she still felt nothing but confused. Has she lost the capability of feeling more? No, she didn’t think so, it was them, their words sounded empty to her… but why…? Then she noticed something at the sky, it became dark and there was something coming out from the sky, something that looked like a black ooze. She remembered reading… or hearing something like this before but where… she couldn’t bring herself to remember although she had the photographic memory. It was as if it was blurred…or her confusion about all this things happened around her messed up her memory. She would look back at her family though and the vibe coming from there changed, it was not strange anymore… it was scary… they were waiting for her to say something, but their eyes, their smiles were not genuine… something was off. And her nightmare wouldn’t just stopped there… as someone appeared from the doorway and approached the black haired magician from behind. The sound of the door closing startled the young magician and she turned her head to see what was happening but cat got her tongue. It was no other than her mentor… the man that she accidentally killed. So which one was the reality… what was happening, were they real at the moment, her family? But she couldn’t remember them and yet this blue haired man, Yakuroro, was inside her head, she remembered him and he felt more real than her family at the moment. All dreams came to an end, thankfully for them, it was coming soon. Before the curtains could come to a call however they each reach the epilogues of the little plays they had entered. The quaint scene of the magician's life was now nothing. The pressure, the fear, a perfect but fake life failing, the power of another world. It was all a maddening dream, the emotion, and tension almost like a field of static. It was maddening, almost deafening in the quiet, dark, empty dream that she sat in. She had her thoughts, her reflections on if a peaceful life is what she wanted, of her own accomplishments. "Power has no intent and twists like man, would you give your cruel reality or dreams stand in your way when the time comes, are you willing to throw any of it away?" The words came in clearly, cutting through all of the noise. It was strong, masculine but with no real emotion to it. It simply, yet strongly ask as if looking deep within the king candidate. Noir had shown her power, she was a king candidate, she had dedication and a goal. It seemed almost as if she was caught, or aloof. That was at least how her actions seemed. The hands had consumed all but her though, she was there with now nothing but the time to answer. The fanalis answered proudly with a voice and response that was truly his. He was stubborn, not in ignorance, or in opposition. It was just how the young boy acted. He only had his own goals in mind, not some grand scheme or fate that he needed to be destined for. It was almost dumbfounding for him to say he'd just do whatever he wanted. In a seemingly apocalyptic view, with everything around him coming to suffocate him. Despite this, the dream would let go. His answer had been accepted. Despite this, the voice still felt the need for additional questioning. "You are capable of wholly everything and absolutely nothing, you could elevate the next king or become a force violently evil, you choose to be nothing but yourself, and you'd sacrifice it all just because you felt like it. What choice would you make if you could benefit at the world's cost or lose it all in an attempt to preserve what's simple?" He was presented with such a massive question like it was something simple. As a huge bomb was dropped on the boy it was like the world of dreams was being lifted away. From the dark Noir would pop up before him. He would see his ally before him, she would notice him as well. They would see glimpses of eachother's lives. As they gazed upon one another their memories painted background behind them. As they got a quick look at one another within a blink they would see themselves in front of the gate. A massive frozen door with intricate carvings was the only thing between them all and the Necropolis. All they had to do was touch it. Emile would be on the other side if they overcame the challenge. The red haired beserker didnt fully understamd what the mystery voice meant. He could do everythinng and nothing? Was that some kind of riddle, well either way he was going to do ecerything there was in this world. While he didnt see himsepf ever becoming evil if that is what happens to him then so be it as long as he has fun. Like the voice said he didnt care what happens as long as he enjoys himself, lile when he broke the law and fought innocent guards jusy because he saw it as am adventure. Then the voice asked a final question, destroy yhe world for his benefit or lose everything to keep whats simple? How was he supposed to answer that, he doesnt know what he will do until he gets to it. That must be his answer them, for he always says what is in his heart. "Look i dont know what i would do if i am ever given that choice of one of those two. I dont look into the future and try to figure out what i would do in the future like others. I live in the moment and make decisions only when i am faced with them. Altho if i was faced with that right now then i would probably risk everything in this world for something like a grand adventure, not for money or fame tho but for my own enjoyment. It sounds selfish but thats how i am. I wpuldnt want to risk the lives of others but a grand adventure sounds amazing. Its the dream of all adventurers." he wasnt sure if this is the right answer the voice was looking for but it was the right answer for sesshomaru. The black haired girl would hear a voice speaking to her, perhaps it was someone in her dream or even the owner of the dungeon itself. That masculine voice was asking her a question and she already knew her answer, there was no need to find the answer anymore. There was a lot of sacrifices that people around her made and she admitted that it was because she was not strong enough, all of those people who died because of her, she admitted she took the reality pretty hard and that was eating her emotion from the inside. But she learned to embrace it, everyone was not perfect and so was her, she just had to move on and try to be better. Yes the dream of her family seemed to be good to be true and she never had to chance to remember how warm it was to be surrounded by loving family as the things that she remembered was only whips and awful masters. But this dream, as strange as it could be, gave her a chance to feel the warmth even for a bit before she had to continue her journey. Yakuroro's appearance was a big wake up call as well and it reminded her of her goals. "Cruel reality and dreams are what makes me into what I am today. I won't throw any of it away, I will hold it all as those things are the reason for me to seek power and be stronger, so I can protect everything, starting from stopping the darkness in this world." As cliche as it sounded, Noir knew if she throw the reality and dreams away, she wouldn't be herself anymore. She would just become a power hungry fiend who had lost her reason to fight for her beliefs and she didn't want it, especially when she met people like that before. As the dreamworld started to end, when Noir blinked her eyes, she would see Sesshomaru standing in front of her, with memories painted around him. Then with another blink, Noir noticed that they were back and now was standing in front of the gate that will take them to the next area. Shousui and Haku were already waiting for them to come back, the moment she wanted to touch the gate, she heard Sesshomaru speaking to her. With a smirk, the black haired girl would answer, "I know right?" Right after that, Noir, Shousui and Haku would touch the gate together, ready to go to the next area.